Hawaiian tuna poke is one of the things we miss most about Hawaii. Since moving from Hawaii, food has been an issue for us, specifically lack of the amazing flavors and diversity of food in Hawaii. If you have never been, Hawaii is a food lovers paradise. So many cultures come together to create such amazing food. 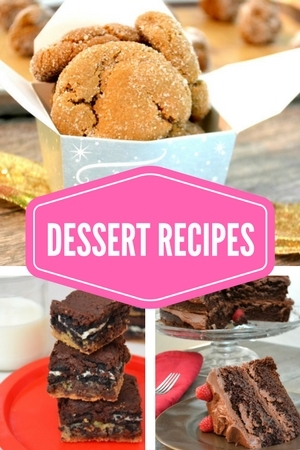 One of the reasons we started this website was to develop the recipes we miss so much and share them with the world. Hawaiian Tuna Poke is one of our favorite recipes. If we can find the fresh tuna, we make this at least once a week because we just love it so much. When we were on Kauai last year, we ate poke at every meal. Last year, Aaron’s new year’s resolution was to eat more raw fish. Sawyer, who became vegetarian last year, will not give up his poke. Though we love sushi and sashimi, poke really is where our heart is. The flavors are so amazing and the the taste is fresh and light. It is easily made to suit Paleo and Whole 30 lifestyles and is great for pescatarians. Plus, it is so adaptable. 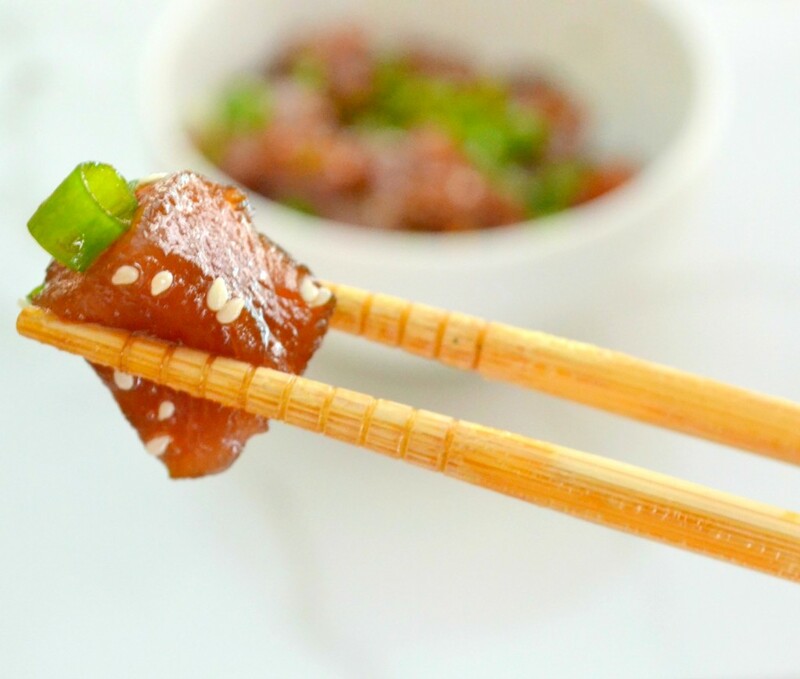 Today, I am sharing our basic recipe for ahi tuna poke (ahi is the Hawaiian word for tuna) but in the coming days I will share some variations—there is just so much you can do with this. I’ll be making it spicy, with other types of fish, and even vegetarian. All of the ingredients for our basic poke recipe can be found at most grocery stores. Depending on where you live, finding fresh tuna might be more of an issue. Tuna is not just one species of fish. A few different species are considered tuna and in the sushi market they are ranked by grade. Bluefin tuna, is the highest grade and is also overfished worldwide and very expensive. Recently, ONE bluefin tuna sold for 1.7 million dollars. It is very unlikely that you will find bluefin in any local market. They are saved for the most upscale and prestigious restaurants. 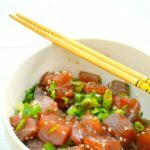 Most commonly found in the seafood markets are the bigeye tuna or yellowfin tuna–and both make a great poke. Albacore and skipjack are usually made into canned products, but if you have a very fresh fish can be used for poke as well. Albacore and skipjack tend to be a bit more fishy than the other species. You don’t need to spend $25.00-30.00 per pound on sashimi grade tuna–just look for a nice cut of yellowfin or bigeye tuna. In fact, on the commercial fishing boats that both Aaron and I worked on, the fish bits remaining after cutting up a fish for sashimi was what they would use to make poke. It is considered poor man’s sushi. 1) Color and Appearance. Tuna is supposed to be pinkish/red. I have seen tuna in fish cases here that look horrible. Dried out and discolored, but people still buy it. Tuna should not be brownish red or brownish at all. Look for nice moist fish with a pink color. 2) Smell. Tuna doesn’t smell very fishy if it is fresh. If you are at a fish counter, ask the fish monger if you can smell it before you buy. Don’t worry–this is not an odd question. If it smells very fishy, I wouldn’t use it for making poke. 3) Ask Questions. I always find out where the fish is caught and when it was brought in. Smaller fish markets will know this information and will gladly share. Bigger grocery stores might not really know or share truthfully—I would always go with a local fish market if you have access to one. 4) I never buy frozen tuna when I am making poke but I do know that many of the fish cases in Hawaii sell poke made with previously frozen tuna. It is a lot less expensive and easier to find in places that might not have a great seafood selection. If frozen tuna is your only option, give it a try. Be sure to thaw it out completely before adding your seasoning. 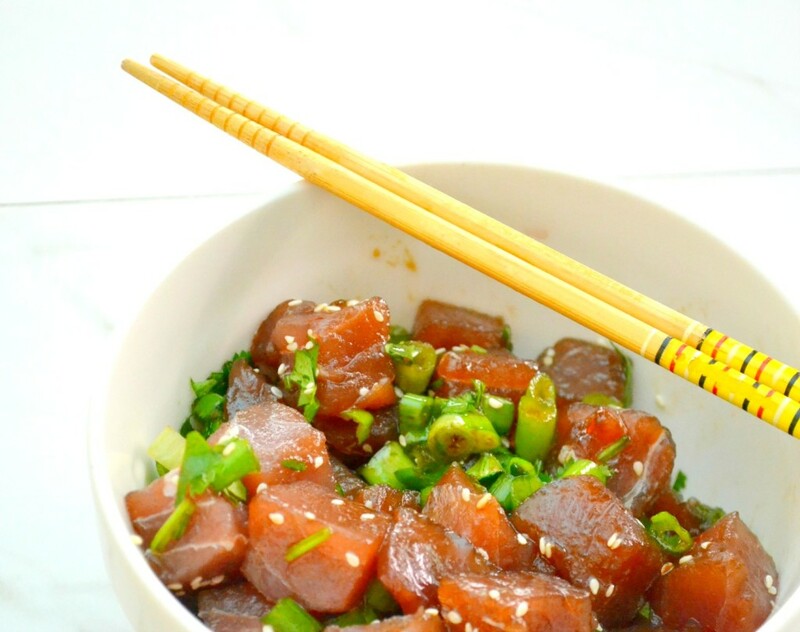 Once you have your tuna, you are ready to make your own Hawaiian style poke. It will likely become a favorite in your family too. Enjoy straight from the bowl with a beer, over a bed of hot rice, or stuffed inside a taco. 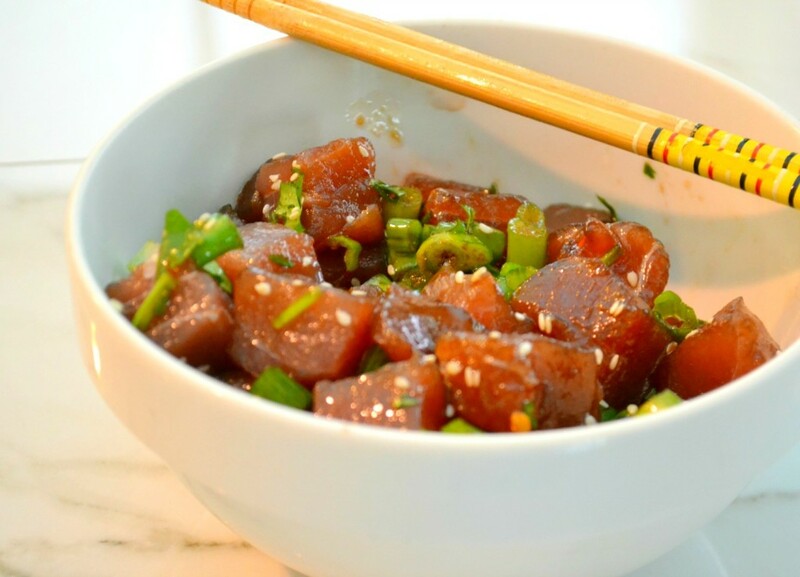 A recipe for basic Hawaiian poke made with raw tuna, amazing spices and fresh flavors. Cut tuna into cubes. Cubes should be about 1/2 inch in size. Place tuna into a bowl and add sesame oil, soy sauce, hot chili flakes and salt. Gently give a little stir and taste. At this point, you may want to add a bit more pepper flake, sesame oil or salt. Once the flavors are where you like it, add green onion and sprinkle with sesame seeds.